Katherine Tegen Books, 9780062671516, 320pp. Taking inspiration from “Beauty and the Beast,” Amy Wilson’s second middle grade novel is a stunning modern fairy tale of magic, friendship, and finding the courage to fight for what matters most. Amy Wilson has a background in journalism and lives in Bristol, England, with her young family. She is a graduate of the Bath Spa University MA in creative writing. 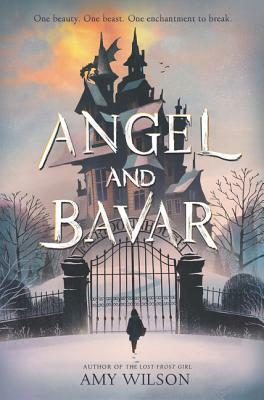 She is the author of the critically acclaimed debut novel The Lost Frost Girl and Angel and Bavar. You can visit her online at www.amywilsonbooks.com.